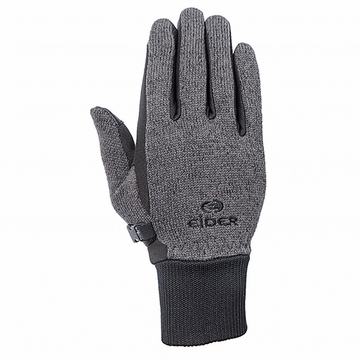 The slender Wooly Grip E.T 2.0 Gloves combine technical performance with the all-natural look of wool knit, providing convenience and protection all winter long. Palm constructed in breathable and stretchy Thermostretch with a subtle silicone print for light grip, while the e-touch feature permits smartphone use without exposing hands to the cold. Fitted shape prevents clumsiness, allowing you to use your hands freely, while the short stretch cuff fits comfortably under jacket cuff. Ideal for casual outdoor adventures and everyday urban wear.